What once was a secret retreat for a private family is now front and center on a global stage as Hidden Bay Retreat is listed for sale and was featured by The Wall Street Journal on June 27th in an article called “Life in the Boondocks” and then again as “House of the Day" on July 11, 2013. This isn’t the first time the property has received high-profile media attention since it was announced the home and land portfolio would listed for sale. The property was also featured in a recent article by Jetset Magazine called A NEW CURRENCY EMERGES, which captures the trends for global wealth to consumer unique, destination real estate as an asset class instead of stocks or bonds. The property was also featured in articles in Elite Traveler, Ocean Home, At Auction as well as in The Collection, published by Realogics Sotheby’s International Realty. Alone in its class, Hidden Bay Retreat comprises more than 45 acres and includes nearly a kilometer of low-bank waterfront along some of the most productive recreational fishing grounds on earth. The three bedroom 2,382 sq. ft. chalet style home was built with custom milled heartwood cedar trees and boasts its own power plant for sustainable operations at up to six months at a time. PICTURED ABOVE: Hidden Bay Retreat is perched upon nearly a kilometer of low bank waterfront and offers immediate access to pleasure craft and world-class fishing. PICTURED ABOVE: The outdoor living spaces at Hidden Bay Retreat include more than 2,000 sq. 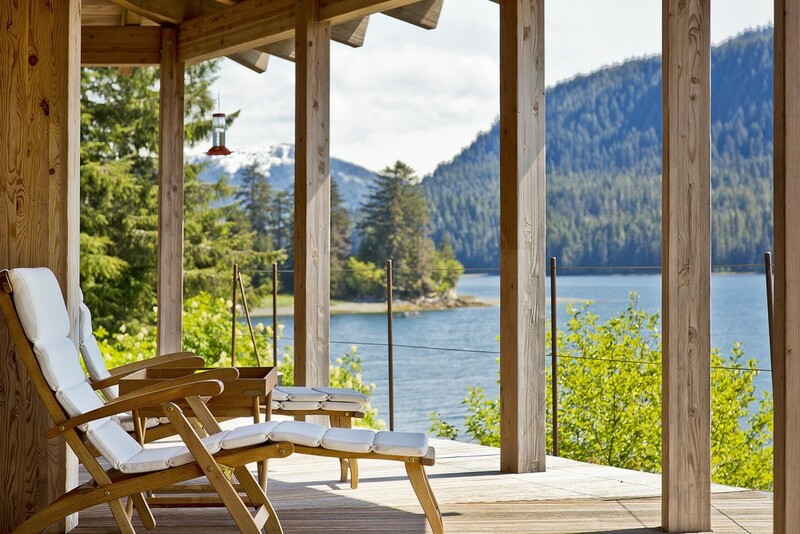 ft. of covered terraces with inspiring views of Hood Bay and the wildlife theater that is Southeast Alaska. For more information on Hidden Bay Retreat contact Dean Jones at 206.448.5752 or email Dean.Jones@SothebysRealty.com.